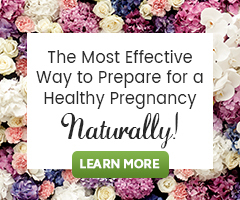 Are you wanting to prepare your body for pregnancy? Are you thinking of doing a Fertility Cleanse? Did you know there are important tips to aid your body in fully detoxifying while doing the Fertility Cleanse? Some people experience side effects when cleansing the body. Not all people will experience side effects, but it is important to realize the more toxins or excess hormones you have in your body, the more likely you are to experience side effects. Some people experience the following side effects: headache, fatigue, loose stools, temporary hormonal imbalance, acne, odd toxic feeling (just feeling yucky). Know that all of this is completely normal, a good sign that the Fertility Cleanse is doing its job! Cleansing the body and supporting hormonal balance through liver cleansing, requires the body to do a lot of work. Not only that, the Fertility Cleanse also stimulates the reproductive organs to cleanse and tone. Expect your body to be more tired, it is working hard to cleanse. The herbs in the Fertility Cleanse stimulate the body to dump toxins and excess hormones into the blood stream to be removed from the body via sweat, urine, feces, lymphatic system, and more. Because these are temporarily recirculating in the body, all of this may cause you to experience side effects. Why do a Fertility Cleanse? Fertility Cleansing for pregnancy preparation is an essential piece to aiding proper development of your baby. Fertility Cleansing helps to remove toxins and excess hormones from your body. Most toxins are stored in our liver, kidneys, and fat cells. Your body will use fat stores during pregnancy and breastfeeding, which go directly to your baby. Fertility Cleansing is an essential way to cleanse the body of toxins in preparation for pregnancy! If you plan on breastfeeding your baby, it is important to try to cleanse those toxins from your body as much as possible, prior to conception and breastfeeding. Once you are pregnant, you will not be able to cleanse until after your baby is born and you are done breastfeeding. We never suggest cleansing during pregnancy or breastfeeding, as this may pass the toxins on to your baby. 1. Sweat every day! Be sure that you are sweating! If you are not sweating regularly, your body is not going to be able to detoxify itself! Sweating helps the body to remove excess toxins, especially xenohormones. Xenohormones come from chemical pollution via plastics, body care products, household cleaning products, non-organic foods, fertilizers, pesticides, exhaust, feminine care products, etc. Exercise. Exercise at least 30 minutes a day. If you not sweating during your exercise, you are not supporting detoxification. Be sure you are getting your heart rate up! This will increase circulation and allow for proper detoxification, while also promoting new freshly oxygenated blood, to circulate. Sauna. Not everyone has access to a sauna. Most rec centers have a sauna. Consider trying to go to the sauna 1-2 times a week. Hot bath. Take a hot bath. Make the water as hot as you can stand. Adding sea salt and essential oils like rosemary (10 drops), lavender (10 drops), or a tiny bit of tea tree (2 drops). Soak for 45 minutes. Keep the bath hot so you sweat. 2. Drink Water! Be sure that you are drinking filtered, clean water. Try to avoid tap water. Drink at least 8 full glasses of water a day. For added liver support, add fresh squeezed lemon to your water in the mornings. Avoid drinking water from plastic bottles. If you need to take water with you, choose glass, stainless steel, or BPA-free plastics. Remember that plastic leaches xenohormones into your water, especially if left in sunlight or a hot car. 3. Eat a Clean Diet! Try to eat organic when possible, especially if you are eating meat or dairy products. Non-organic meat/dairy contains hormones which may cause more hormonal imbalance. Organic foods do not contain pesticides, herbicides or synthetic fertilizers, which contain xenohormones. Drink a fresh juice or green juice daily. Drinking a fresh juice daily stimulates cleansing, but is also nourishing at the same time. Be sure you are eating well. Avoid eating foods that are high in sugar and trans fats! Try to also avoid any bad lifestyle habits like smoking cigarettes and drinking alcoholic beverages. Do not avoid eating completely, as this may cause your body to cleanse too much, too fast. This is stressful for the body and may make you feel horrible. Nourishing whole foods are best. If you need recipe ideas, consider checking out our Fertility Diet Challenge eBook! 4. Exfoliate & Stimulate Lymphatic Movement! Learn to dry brush, use an exfoliating body glove, or salt scrub on your body prior to taking a hot shower or bath, daily. This is easy to do and inexpensive! Using long strokes rub your skin upward toward your heart. This stimulates the lymphatic system. The lymphatic system removes metabolic waste from the body. The only way it can be moved is by exercise or external manipulation. The lymphatic system is not like our circulatory system, which relies on our heart to move it. It needs daily movement and external manipulation to move the lymph fluid. 5. Listen to Your Body, Reduce Stress & Rest More! If you are experiencing side effects from the Fertility Cleanse, be sure to listen to your body. Know your limits. Try to plan in a nap each day, resting time, and an earlier bed time. Sleeping allows our body to work on cleansing, repairing and renewing cells. Sleep at least 8 hours a night. Try to reduce stressful situations that may be hard on your body. Do not exercise too much, reduce your work-load if possible, and avoid staying up too late.